Hi everyone! I hope you all had a great weekend. Today I'm sharing a layout that I made with some Bella Blvd. products. I've been wanting to make a layout with this picture for a while. My old Vizsla, Rusty, loves to chase (and eat) bees. The stings don't seem to bother him...I guess he's immune to them now. Someone forgot to tell him he supposed to be a bird dog. 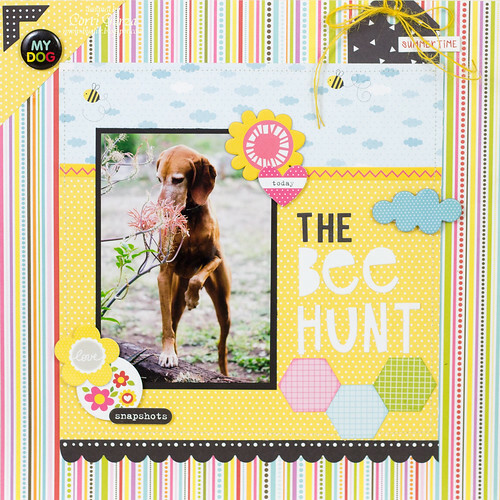 I love the bright colors and fun patterns on all the Bella Blvd paper collection. They also work well together. You can find some Bella Blvd. paper in the Paper Issues shop. 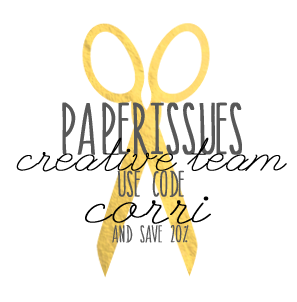 Use the code CORRI to save 20%. Your layout is adorable .... the photo is priceless!